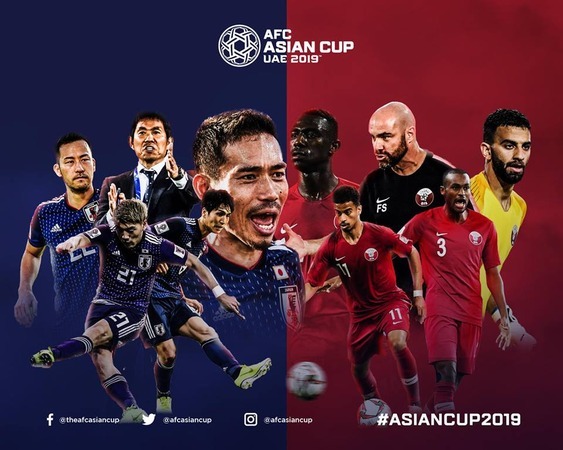 Congratulations to #AsianCup2019 Finalists Japan and Qatar. From 24 down to 2! The #AsianCupFinal is set! 🇯🇵 @jfa_samuraiblue vs. @QFA 🇶🇦 Friday, the 1st of February. 6PM at Zayed Sports City Stadium, Abu Dhabi. Copyright (C) 2015 イロヤク All Rights Reserved.